Get more with CheapCash, right up to your check-in date! With a stay at Hôtel Relais des Landes in Ouchamps, you'll be within a 15-minute drive of Chateau de Fougeres and Chateau de Chaumont. 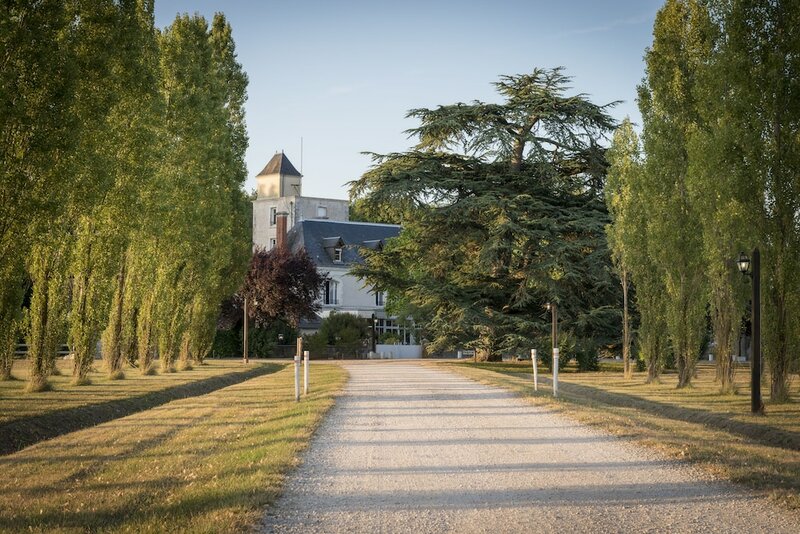 This 4-star hotel is 9.2 mi (14.8 km) from Chateau de Blois and 10.6 mi (17.1 km) from Chateau de Cheverny. Make yourself at home in one of the 28 individually decorated guestrooms, featuring minibars and flat-screen televisions. Complimentary wireless Internet access is available to keep you connected. Private bathrooms have deep soaking bathtubs and complimentary toiletries. Conveniences include phones, as well as safes and desks. Take advantage of recreation opportunities including an outdoor pool and bicycles to rent. Additional features at this hotel include complimentary wireless Internet access, wedding services, and a fireplace in the lobby. Enjoy French cuisine at La Closerie, a restaurant where you can take in the garden view, or stay in and take advantage of the room service (during limited hours). Quench your thirst with your favorite drink at the bar/lounge. Buffet breakfasts are available daily from 8:00 AM to 10:00 AM for a fee. Featured amenities include complimentary newspapers in the lobby, multilingual staff, and luggage storage. Planning an event in Ouchamps? This hotel features 1076 square feet (100 square meters) of event facilities. Free self parking is available onsite. The hotel offers a restaurant. A bar/lounge is on site where guests can unwind with a drink. Public areas are equipped with complimentary wireless Internet access. Event facilities measure 1076 square feet (100 square meters). This business-friendly hotel also offers an outdoor pool, tour/ticket assistance, and multilingual staff. Onsite self parking is complimentary. Hôtel Relais des Landes is a smoke-free property. Buffet breakfasts are available for a surcharge and are served each morning between 8:00 AM and 10:00 AM. La Closerie - Overlooking the garden, this restaurant specializes in French cuisine and serves lunch and dinner. A children's menu is available. Reservations are required. Open daily. The front desk is open daily from 8:00 AM - 10:00 PM. Rollaway/extra beds are available for EUR 39.0 per day. A tax is imposed by the city: EUR 1.21 per person, per night. This tax does not apply to children under 18 years of age. The seasonal pool will be open from March to November.